I have worked in the International Entertainment world for almost 20 years and have performed at all types and sizes of parties and weddings. I've done several international tours and concerts, and created 3 albums in Indonesia, and in the U.S. I currently reside in Potomac, Maryland, U.S.A.
My repertoire consists of top 40, dance, jazz, country, soft rock, R&B, and many foreign and traditional International songs. I have gained much working music experience and entertainment over the years. Any suggestions, input, gigs, or advice are welcome by E-mail. 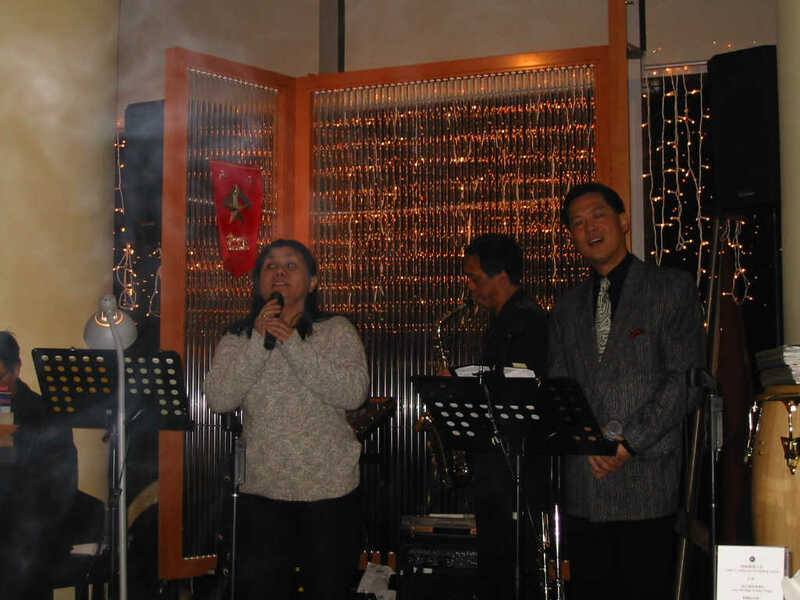 My latest album " HARUSKAH"
New Years Eve Party in Hong Kong, December 31th, 2002.